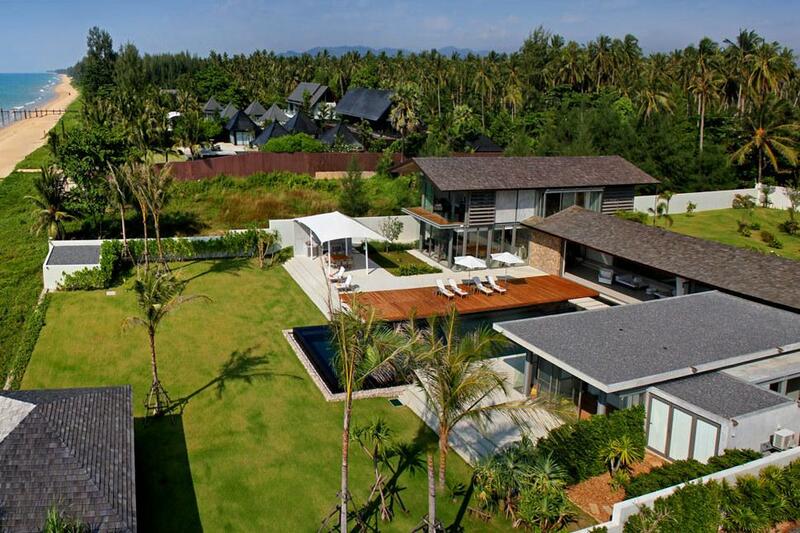 Approached by a private driveway and surrounded by wide, tropical beachside lawned gardens, Villa 4497 offers guests an attractive, modern and very private luxury residence with views from almost every room out across the glittering waters of Andaman Sea. An ideal choice for large families or groups of friends looking for the ultimate beach house; the villa boasts 60 metres of undisturbed beach frontage and offers an appealing combination of in- and outdoor spaces to relax, get active, dine or party in an exclusive private setting. 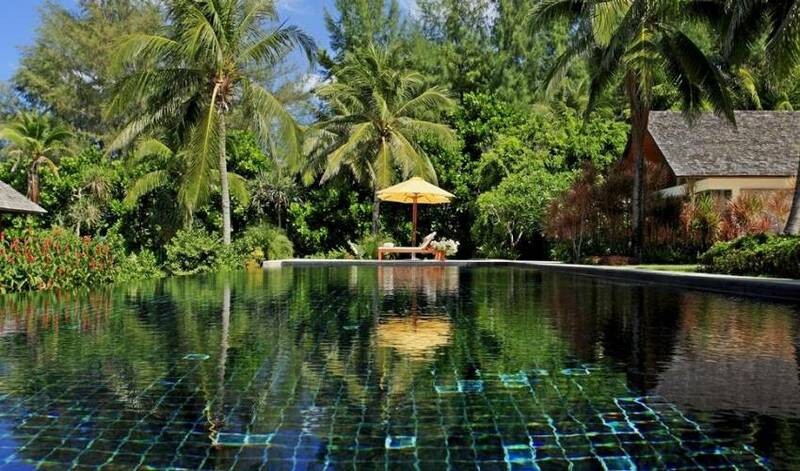 The villa’s generous living, dining and recreation rooms are all fully and comfortably furnished. A long, covered terrace provides ample opportunities for al fresco meals and social gatherings, while four of the villa's bedrooms open onto a shared, covered first floor balcony, which means plenty of incredible sunset photo opportunities. Spacious open-plan room designs with polished wooden floors and a warm colour scheme lend a welcoming, homely atmosphere to the interiors. 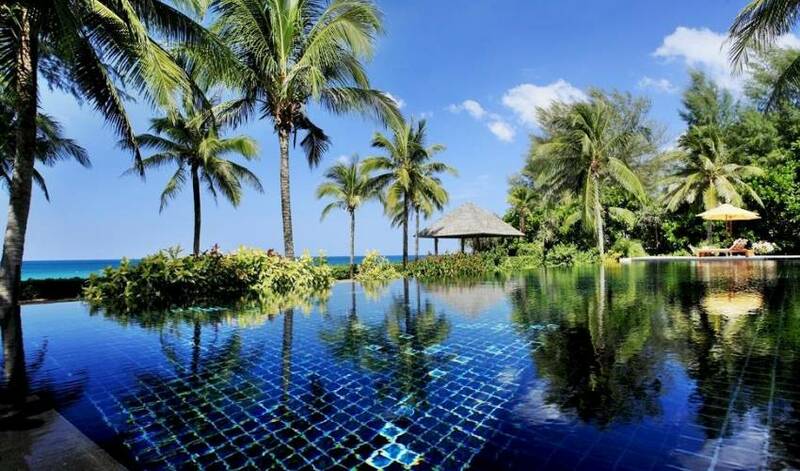 Outside in the beachside garden, the villa's 25 metre, black tiled infinity swimming pool forms a dramatic centrepiece, complemented by a separate gym and spa pavilion for the ultimate private resort experience. Carefully designed to take full advantage of its desirable beachfront location, Villa 4497 offers guests an appealing range of amenities and comforts, which can be enjoyed along with a refreshing sea breeze, to a soundtrack of lapping Andaman waves. 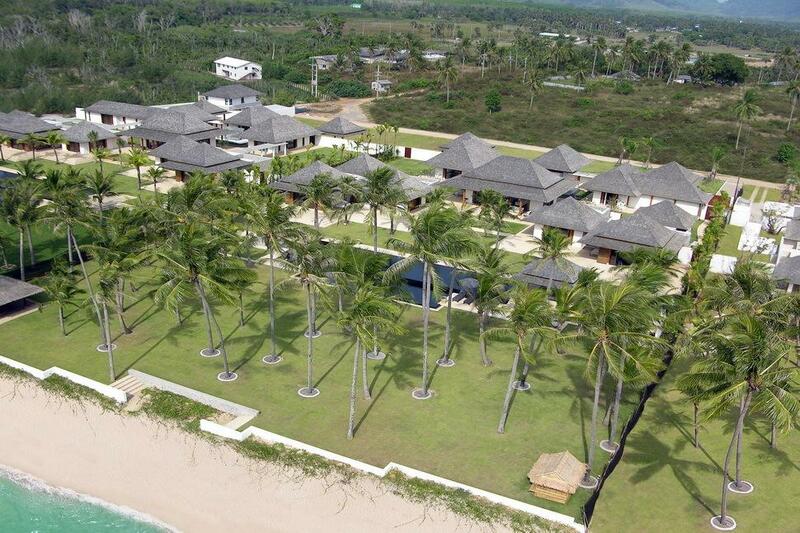 All the villa's living areas and bedrooms slide open onto the well-tended landscaped gardens and calming sea views. Adding further to the tropical appeal, comfortably cushioned outdoor furnishings on the terraces, balconies and poolside deck offer guests myriad choices for peaceful shaded or sun soaked relaxation. Two chaise lounges are ideal for peaceful afternoons reclining with a good book, while an outdoor sofa suite provides a pleasant place to gather for early evening drinks. More active guests will definitely appreciate the 25-metre private pool, which is perfect for laps even when other guests are enjoying a more gentle soak. The addition of a dedicated pavilion to house a fully equipped private gym, including Jacuzzi and sauna means options for a healthy stay go far beyond standard. There's even a private massage room with professional treatment beds and local masseurs on call for an hour or two of pampering. 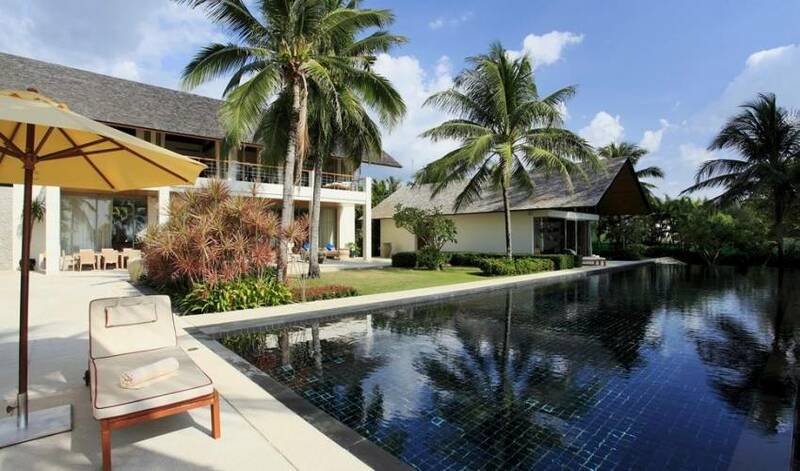 The villa boasts two kitchens, one more modest with a breakfast bar to cater for the morning ritual and snacks, drinks throughout the day, another hidden at the rear of the property where the live-in Thai chef prepares a range of delicious dishes to order. Meals can be served inside at the spacious dining table, which can also be moved out onto the covered terrace. 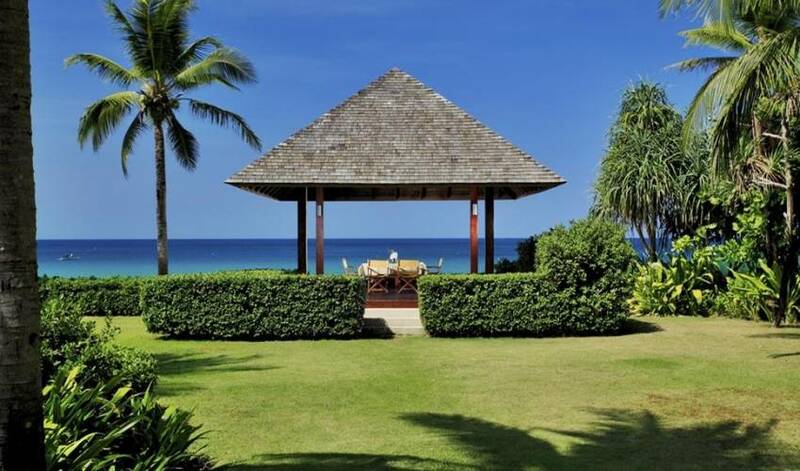 Alternatively, for the ultimate romantic feast, the staff can set tables out on the lawn or even in the villa's beachside Thai-style Sala, the latter also a fabulous spot for a massage or morning yoga practice. Four of the villa's six bedrooms are located on the first floor of the main living pavilion – all of them open onto a generous, shared oceanview balcony. The inclusion of double and twin bedrooms would suit a large family, and all the upper floor bedrooms boast ensuites with glassed-in showers, one of the doubles also has a bath tub. Two more bedrooms are housed in a stand alone pavilion. The generous master bedroom features floor to ceiling windows that slide open onto the pool deck. Inside, there's a king sized bed with sea views and a walk around dressing area that connects to a spacious bathroom with shower and tub. This impressive, seaview bedroom connects to a smaller garden view guest room at the rear of the same pavilion that also doubles as a study. Together the two bedrooms offer appealing private accommodation for a small family. As soon as you enter the villa through its grand, roofed entrance and peaceful courtyard with lily pond feature, the villa feels immediately comfortable and relaxed. Originally built as a private holiday home for its owners, the expansive grounds and absolute beachfront location ensure plenty of space, even for larger groups, which also means guests can experience the best of the natural surroundings, while also enjoying all the comforts that comes with a contemporary luxury residence. 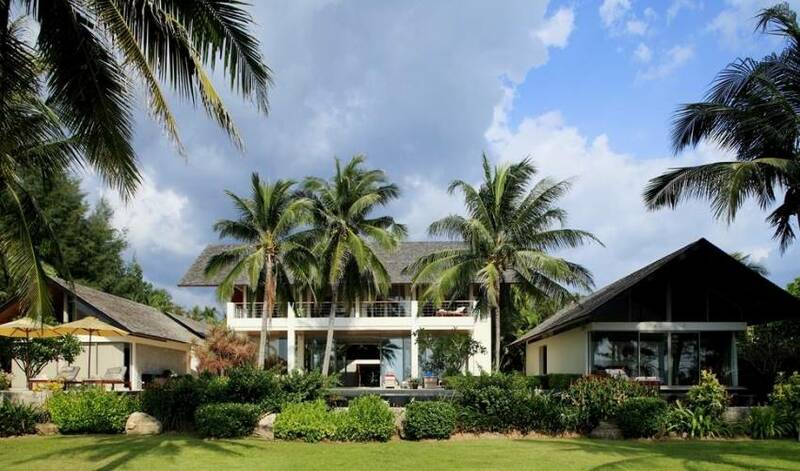 The villa comes with a small team of eager but unobtrusive live-in staff that includes a well-informed English speaking villa manager, a private Thai chef, 3 addition house staff, all of whom are available to answer requests and make sure guests enjoy a relaxed and untroubled stay. Delicious meals can be ordered from the in-villa menu, with fresh local seafood easily sourced at the local market, offering the perfect excuse to fire up the built-in barbecue unit. Spend lazy mornings lounging on sun beds by the huge infinity pool with frequent dips to cool off, then book a massage in the private air-conditioned spa in the afternoon and follow that with a stroll along the pristine sands of Natai beach before gathering with friends and family for cocktails on the terrace at sunset. 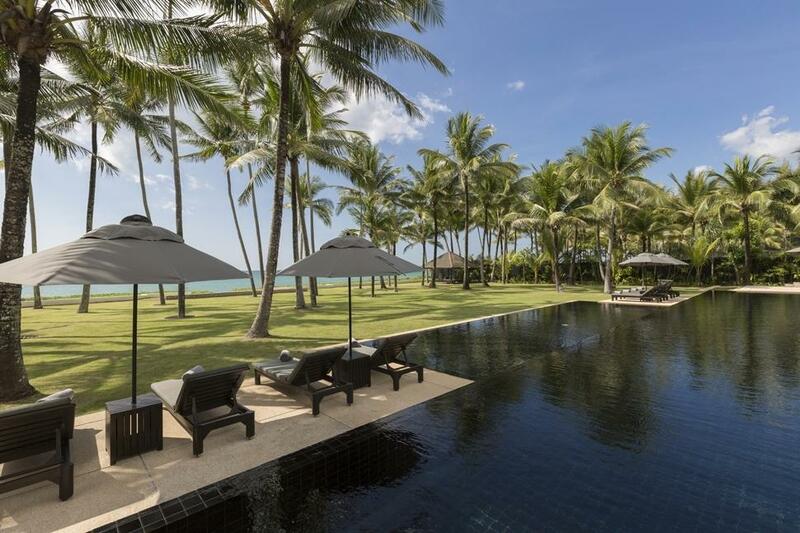 For families or groups of friends looking to enjoy a range of contemporary comforts and indulgent private holiday activities in a secluded, homely yet sophisticated beachside setting, Villa 4497 is a natural and appealing choice. Four full time staff, plus day maids. 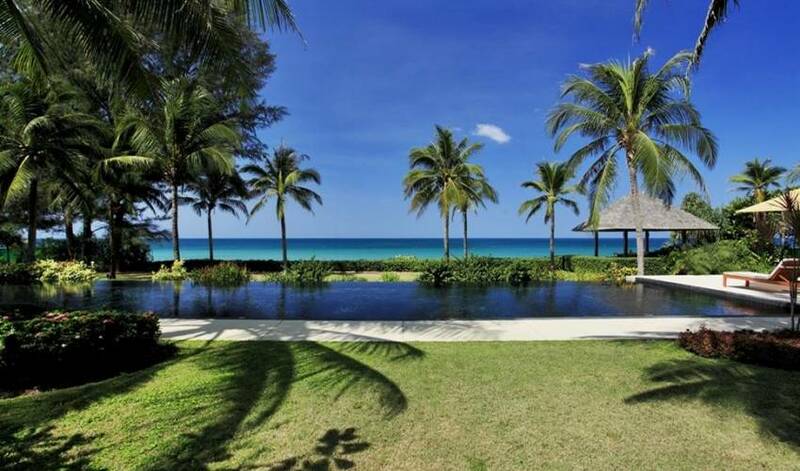 The villa sits right by Natai Beach in Phang Nga province, which has quickly become a favorite high-end location as it offers some of the few truly beachfront rental properties in this part of Thailand. Although still quiet and uncrowded, there's a modest but impressive choice of restaurants along the beach, including The Edge at Aleenta Resort and a recent upscale addition, Aziamendi, whose Spanish chef has earned Michelin Stars back home. 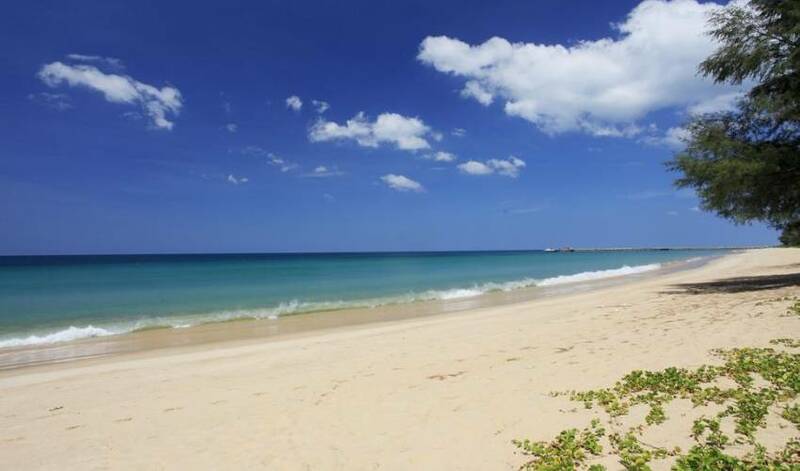 Phuket's best golf courses and marinas are also within easy reach of the villa by car and Phuket International airport is just a 20-minute drive from the villa.